Whole life costing has been a subject waiting to come of age for many years. What was previously of mainly academic interest is now becoming a key business tool in the procurement and construction of significant projects. With the advent of PPP and in particular of PFI, details of the project life need to be assessed and tied in to funding and operation plans. Many of these projects run to millions of pounds and are of high political or social importance, so the implications of the life of materials is crucial. A fundamental requirement of these procurement routes has been that the whole enterprise should be included within the bid, so that a company takes on not only the construction but also the running and maintenance of any building. Additionally as sustainability has emerged and grown in importance, so has the need for a whole life time costing approach, partly driven by governmental insistence. At the heart of sustainability is an understanding of what the specification means for the future of the building and how it will affect the environment. 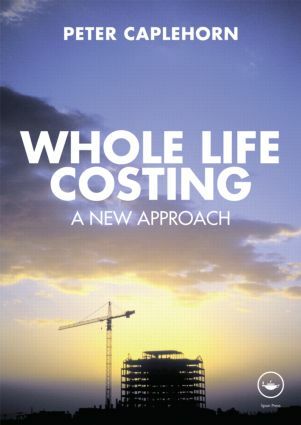 Whole life costing considers part of this and provides an understanding of how materials may perform and what allowances are needed at the end of their life. This book sets out the practical issues involved in the selection of materials, their performance, and the issues that need to be taken into account. The emphasis, unlike in other publications, is not to formularise or to package the issues but to leave the reader with a clear understanding and a sensible practical way of arriving at conclusions in the future. How does this play out in real projects? Whole life costing: is there an end game?